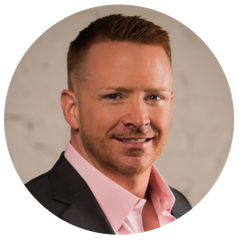 TSE 969: Sales From The Street: "Knuckle Dragging Sales"
On today’s episode of The Sales Evangelist, we talk to John Crowley, author of Knuckle Dragging Sales, about the difficulty of sales and a return to simple ideas about selling. John helps sales professionals build a personal brand so they can increase their visibility and their earnings. John said he has gotten a lot of feedback about the title of his book, both from people who love it and those who hate it. Although the phrase has a negative connotation, for him it refers to a much simpler time when people hunted and gathered or they starved and died. In sales today, you either persist and win or you quit and fail. That doesn’t mean that you bash your buyers over the head using brute force sales tactics that result in cease-and-desist letters. He says the de-evolution revolution will bring us back to simple techniques that work. Many people mistakenly assume that if you have an outgoing personality, you can succeed in sales. Many of them are lured by the possibility of earning six or seven figures, but they fail to realize that very few sales professionals will successfully reach that level. John acknowledges that he initially chose sales because of the money, but a long-time mentor who had been in sales for a long time told him that sales had evolved. After 20 years, he no longer chases after the money. Instead, he focuses on giving back to people who are trying to pursue the same ultimate goal that was initially pursuing. John schedules free mentoring sessions every Monday and Friday to advise young or struggling salespeople. He spends the entire day talking to people who lost their previous job or who are seeking a new one. John does it to give something back to the industry that has given him so much, and it fills his own bucket to help other people. He intentionally bookends his week with those sessions because they are as encouraging to him as they are to the people he’s talking to. When you see someone’s life or business change as a result of something you were able to help them with, that’s the payoff. Every seller knows that you have to endure a lot of “no’s” and punches in the face before you land that one sale. When you land it, though, it’s like a drug for the seller. She wants more of it. John said the most successful sales reps he has ever crossed paths with weren’t those who had to bat a thousand all the time; they were content with less. But they love the feeling of those successes and they love the selling process. 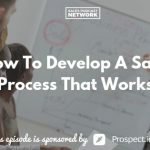 Most companies have a formal sales processes in place, but John has found that the confusion emerges when new sales processes get layered on top of existing sales processes. As a result, he intentionally didn’t create a formal sales process because what he’s actually advocating for is basic human behavior. The book begins with a reflection encouraging readers to evaluate why they chose sales in the first place. It focuses on mindset and asks the question, What are your goals? The second half addresses execution and outlines specific tactics that will differentiate sellers from their competition. It also shares ways to add real value for customers. Salespeople love the fact that they can plug these different tactics into their company’s existing sales processes, allowing them to try new approaches without confusing their existing processes. John said he has heard from countless sellers who read great books and then tried to implement the new ideas into their existing processes. When they did, they ran into trouble trying to combine the two. His book seeks to help them add tactics without confusing the existing process. Planning isn’t only important for sellers: it’s the key to most of our success in life. Without a plan, you don’t know what you can expect. When you go into a sales call, there are 99 different routes the process could take, and developing a plan or framework helps you have the resources to successfully navigate the path. Many sellers get into trouble when they try to force the buyer into a specific sales process rather than adjusting the sales process to the buyer’s journey. That’s why you need a plan. A fluid plan can move with the buyer and help her mentally get where she needs to be, but it helps the seller always identify what the next steps are in the process. The golden rule tells us that we should treat others the way we want to be treated. The platinum rule tells us to treat them the way they want to be treated. Corporate America is brutal and the politics are exhausting. Sales results in frequent rejection, which is grueling for anyone. Sales is truly the hardest profession on the planet, and eventually, the corporate sales grind will affect you. Your mindset truly dictates your success. John said helping others succeed, and asking nothing in return, has been the best way to personally stay positive. The move toward positivity will be different for each person. Companies often try to create a mold. They want the same type of person with the same personality who can give a canned talk. To a certain extent, that’s valuable in learning your job and becoming a product expert. But those sales leaders who stop copying the leader and find a way to be comfortable being different are the ones who are authentic and successful. Whether you choose to stand out because of how you dress, how you talk, the sales aids that you choose, or how you follow up with your leads, you want to find opportunities daily to stand out. Remember one thing: your product isn’t for everyone. If you learn your customer’s business, the dollars will follow. If you learn how your customer makes money and loses money, you become a real asset to them. John said it took him two years to figure out how his customers made money, but once he did, he didn’t have to continue cold calls anymore. The easiest way to accomplish that, he said, is to ask your customers if you can simply observe their businesses. He spent hours following them around and asking really good questions to understand how their industry operated. It requires a lot of time, and you won’t actually be selling anything, but the rewards at the end will be worth it. Grab a copy of John’s book, Knuckle Dragging Sales, to gain more insight about the basics of sales. He put up a page just for our listeners where you can get a free ebook PowerPoint template. You can also connect with John from that page as well.